[News] Lee Sang-woo and Kim So-eun join 'Horse Healer'. 'The Horse Healer' have been confirmed, supporting actors are lining up to sign on the dotted line. Lee Sang-woo (Feast of the Gods, Thousand Day Promise), aka Best Oppa Ever, has now confirmed that he will play the the other leg of the Jo Seung-woo / Lee Yo-won love triangle. Oppa, why must you always play the guy who doesn’t get the girl and breaks my heaaaaaart? This will be Lee Sang-woo’s first sageuk, and he’ll be playing Lee Sung-ha, described as a beautiful and intelligent man. So far so good. And also kind of obvious. But the hero played by Jo Seung-woo (the titular horse healer who goes on to become a royal physician) has a tragic backstory, of course — his father’s wrongful death. 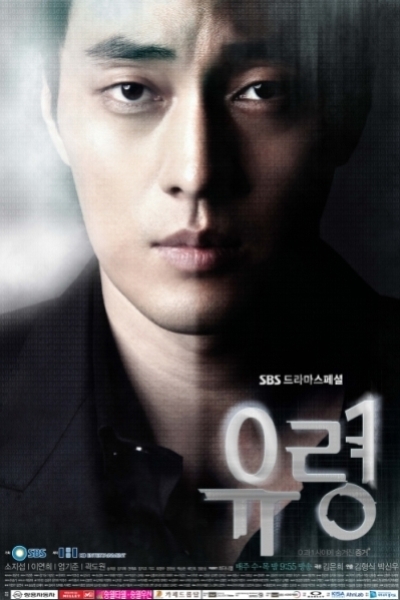 Lee Sang-woo will play the son of the man who killed Jo Seung-woo’s father. So, pretty much your-father-killed-my-father rivals, even before they meet the girl. Then they both fall in love with Lee Yo-won and things get even more dicey. Joining Lee Sang-woo in second lead land is Kim So-eun (Happy Ending), playing a princess who falls in love with Jo Seung-woo’s character. She’s described as feisty and used to getting her own way, which I guess is no surprise for a princess. The 50-episode drama produced by the writer-director pair behind Dong Yi and Yi San will air on Mondays and Tuesdays, and premieres in September on MBC. [Photo & News] So Ji Sup makes himself a doting dad. A couple of photos of actor So Ji Sup on the set are in the limelight. On June 29, a video clip filmed on the set of SBS’s Wednesday-Thursday series Ghost was posted on the official webpage of the series. In the video clip, actor So spends some quality time with child actor Kim Woo Hyun, who plays the role of So Ji Sup’s son. The doting “dad” gives the child a massage on his shoulders and brings a toy for him. [News] Golden Melody Awards’ ratings hit a 12-year high with S.H.E.’s return. The Golden Melody Awards, Taiwan's equivalent of the Grammy's, was held amidst much fanfare as powerhouse S.H.E. performed as a group after a 19-month hiatus. Viewership for the glitzy awards show tallied to an impressive 5.3 million or 5.77 percent, the highest in 12 years. S.H.E. 's performance chalked up the highest number of viewers and a 3D tribute to the late Feng Fei-fei came in a close second. With Selina's first performance after her filming accident and S.H.E. 's powerful performance, the trio hit highs of 8.27 percent viewership ratings or an average of 1.8 million viewers per minute. Mickey Huang, the host for the awards, humbly attributed the record to the collaborative effort between the Ministry of Culture, the broadcast station and artistes. The first-time host was in high spirits and expressed his gratitude towards everyone's support. [VOD & News] Drama Teaser for Kim Hyung Jun’s “Sorry I’m Sorry” revealed. Kim Hyung Jun is making a comeback in early July with his second mini-album, ‘ESCAPE’ and the drama teaser for his upcoming 25 minute long drama music video “Sorry I’m Sorry” has been revealed. As reported earlier, Kim Hyung Jun’s labelmates from S-Plus Entertainment, Kang Ji Hwan and Lee Ki Woo, will be making appearances in his music video. Additionally, director Cha Eun Taek will be directing this music video. As seen from the teaser, the music video will be very dramatic. Check it out below. [News] Han Ye Seul denies dating rumors. Earlier today, a media outlet reported that actress Han Ye Seul was dating the son of a conglomerate with the intention of marriage. Han Ye Seul was also caught in a scandal late last year with a prominent figure of a broadcasting company, but that was also found to be false. [News] Kim Hyun-joong to travel across Japan for "City Conquest" shooting. The cast members of Kim Hyun-joong's upcoming TV series, "City Conquest," will be traveling across Japan for the show's shooting early next month. The show's promoter, Feel Boy Entertainment, announced in a press release that Kim, Nam Goong-min, Kim Seung-woo and Jung Yu-mi are scheduled to fly to Japan to shoot "City Conquest" starting July 10. The firm revealed that the main cast will stay in the country for about two weeks in Nikko, Utsunomiya and Kinugawa. "City Conquest," based on the million-seller comic strip of the same name by Shin Hyung-bin, focuses on the story of Baek Mir (Kim Hyun-joong) who blames his father for leaving their family and decides to get revenge on things that drove his family into destruction. Earlier this month, an official with Kim's agency, KEYEAST, told the magazine that the distribution rights to "City Conquest" has been sold to Japan, China, Hong Kong and Taiwan before its premiere in Korea. [Photo & News] Kim Soo Hyun, Miss A’s Suzy and other celebrities nominated at 20’s Choice Awards. Actor Kim Soo Hyun received two awards at 2012 20’s Choice Awards. Kim Soo Hyun received Drama Star Awards and Popularity Award at 2012 20’s Choice Awards that was held at Seoul Banyan Tree Club & Spa at June 28 at 7:00p.m. For the movie section, Lee Jae Hoon and Suzy of the movie Architecture 101, which exceeded 4.1 million views, received the awards. They became the rising stars by appearing on the movie. For the performance section, Hyun Ah and Hyun Seung who performed “Trouble Maker” together were nominated. However, they did not appear on the ceremony. Han Hye Jin, the MC of SBS’s Healing Camp, received Variety Star Awards. Busker Busker, who ranked second place on Super Star K3, received the Online Music Awards. SNSD’s unit Taetiseo received the Trendy Music Awards. They competed with Big Band until the very end. Koxx was nominated for their band music. Sistar received the Sexiest Performance Award. In the Do Don’ts section, Park Jin Young was nominated. Besides them, Jang Yoon Joo was nominated in the style section, Super Junior in global star, and Yeo Jin Goo in upcoming star section. As for comedy section, Comedy Big League’s Laeeddo(Yang Sae Hyung, Lee Yong Jin, and Park Gyu Sun) received the award. This day, Busker Busker and Suzy jointly performed “Cherry Blossom Ending” with ‘first love’ as the theme. 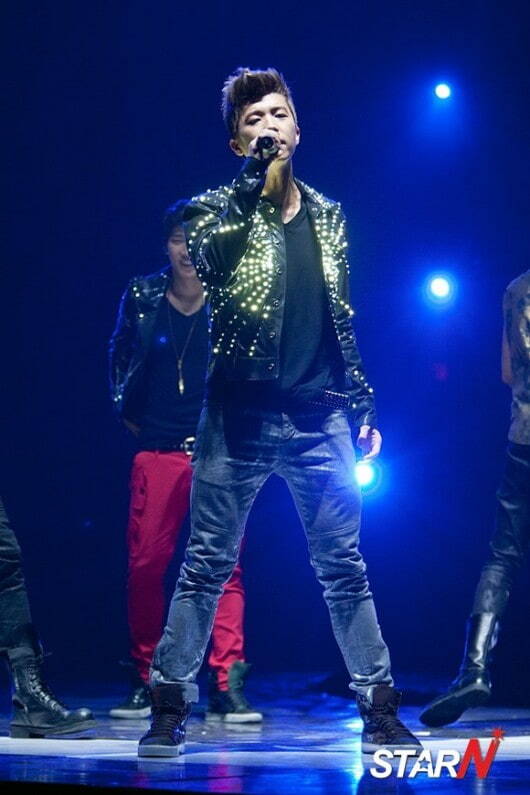 On top of that, 2PM’s Woo Young heated up the stage with his solo performance. Park Jin Young also showed off his hit songs. [Photo & News] Jang Keun Suk captures Japanese entertainment programs. Actor Jang Keun Suk recently appealed to the public by appearing on several Japanese programs. On June 28, according to Jang’s agency, Jang visited Japan on June 22 and appeared on several popular entertainment programs. He appeared on music programs Fuji TV’s Hey! Hey! Hey! and NHK’s Music Japan to perform live. He also appeared on several popular talk shows including Asahi TV’s Tetsuko’s Room and proved that he is one of the hottest stars in Japan. When Jang appeared on Tetsuko’s Room, it seemed like he doesn’t need an interpreter because he spoke in fluent Japanese during the entire show. Tetsuko Kuroganagi, famous MC for the show, which has been airing for 37 years and only top stars can appear on, was impressed by Jang. After the show, she gave Jang a piece of candy, which is well known as her trademark that she doesn’t give to even famous Japanese entertainers. She also took a picture intimately with Jang and surprised the entire crew. [News] Kim Hyun-joong set to begin filming. A spokesperson for the drama said Friday the first location for shooting will be in Japan, starting on July 10 and continuing about two weeks. “The filming will take place in Nikko and Edo Wonderland in Utsunomiya. Tochigi Prefecture has kindly promised to offer its full support, no doubt as the program is one that is gathering much attention overseas,” said the spokesperson. Nikko is a city known for its historical attractions, with many shrines and temples designated as World Heritage Sites. Other stars to take part in the drama are Nam Gung-min, Kim Seung-woo and Jung Yu-mi. Earlier, Kim and his upcoming TV show made headlines when it was announced that four locales in Asia had signed contracts to purchase rights to the drama. By signing with Japan, China, Hong Kong and Taiwan ahead of time, Kim made 11.8 billion won (about $10 million). [News] Han Ji-min takes Mnet drama award. Actress Han Ji-min won the “20’s Drama Star” prize at Mnet’s 20’s Choice Awards on Thursday at the Banyan Tree Club and Spa in central Seoul. Han emerged onto the stage in the club’s pool area to claim her prize and thanked “the staff and actors who took part in the drama.” Han said she was grateful for the award and that she plans to continue to strive to become a better actress. Others nominees in the category were Yoona from Girls’ Generation, Ha Ji-won, Shin Se-kyung and Jung Ryeo-won. The award show, which is in its sixth year, gave out awards in 20 categories. Fans from Korea and abroad voted online, while agencies and industry experts also took part in various surveys. Other winners included Suzy from Miss A and actors Han Hye-jin and Kim Soo-hyun. Kim won for best male drama star and “Hot Star” of the moment. 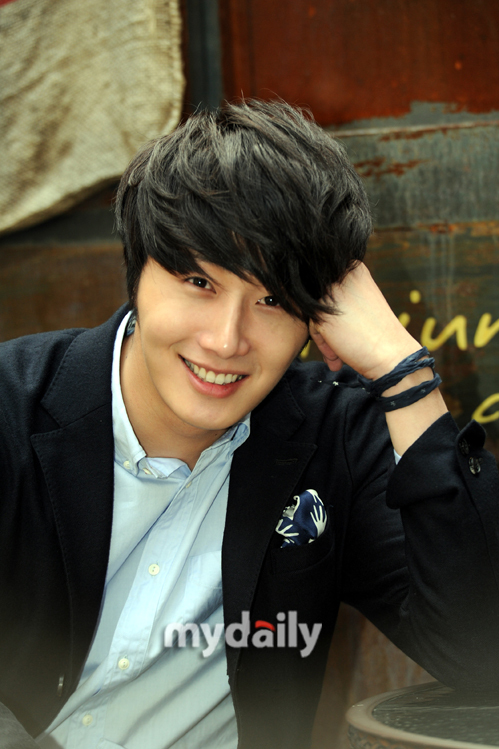 [News] Jung Il-woo invited to China awards. Actor Jung Il-woo has been asked to attend a Chinese awards ceremony as the Korean celebrity guest of honor. Jung’s agency confirmed on Friday that Jung will make his way to Beijing for the 2012 Huading Awards ceremony that recognizes the Chinese public’s favorite entertainers. It will be held on July 4 at Beijing Olympic Stadium. It marks the first time in the seven-year history of the awards that a Hallyu star has been invited to the ceremony. The awards show had previously focused only on the Chinese entertainment scene, but this year decided to acknowledge the wider Asian entertainment industry. Award winners were chosen through phone and online surveys on Chinese Web sites, such as Sina.com, Sohu.com and the awards’ main site. His agency said Jung was invited following the popularity of last year’s “Flower Boy Ramen Shop.” The tvN production was No. 1 top among dramas streamed live online in China. [News] Prince of Asia to greet fans in Busan. Hallyu star Jang Keun-suk, also known as the Prince of Asia, will meet with some 1,500 loyal fans at the “Sweet Party with Jang Keun-suk” fan meet tomorrow at the Lotte Hotel in Busan. While the event is being held in Korea, Japanese fans won’t let a little distance get in the way as many have booked flights in advance in order to attend the event. According to Lotte Hotel, fans from Tokyo, Nagoya, Osaka, Fukuoka as well as other regions in Japan are expected to take part in the fan meeting. To cater to the surge of Japanese fans arriving for the event, a plane has been chartered to fly directly from Tokyo to Busan. There will be some 45 shuttle buses awaiting the fans at Gimhae International Airport to transport them to the hotel. Once they’ve arrived, Jang’s fans will be treated to a two-hour event complete with a mini-concert and photo and signing sessions. A complimentary CD will be handed out as a parting gift. 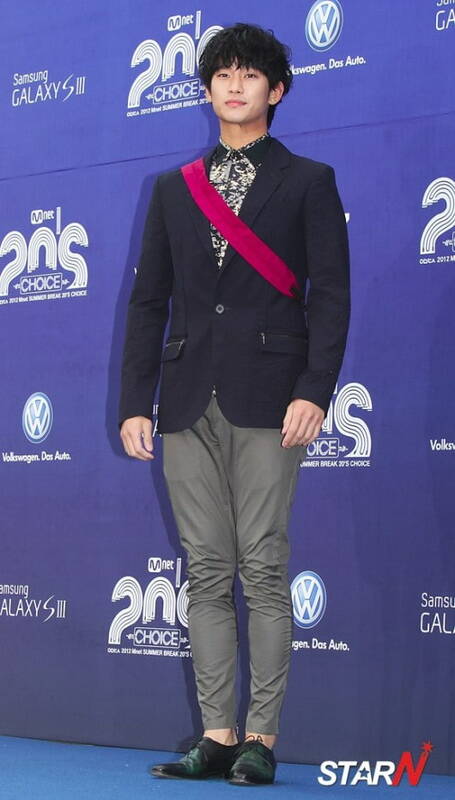 [News] 2PM’s Wooyoung Slips During his Solo Debut Performance at the “20s Choice Awards”. Yesterday, 2PM’s Wooyoung had his debut performance as a solo artist at the mnet’s “20s Choice Awards,” and unfortunately, it was not the performance he dreamed of. The annual “20s Choice Awards” are always held outside and goes for the summer pool party concept. As such, there is always an excess of water on the stage , either from the pool or the sky (Korea’s summer monsoon season), which calls for tons of slips and faceplants. In the middle of Wooyoung’s performance to “2night,” one of his backup dancers fell on the slippery stage. Moments later, Wooyoung also slipped as he was performing an intricate footwork sequence. He then slipped again at the end of his performance. What started out as a charismatic performance, it was heartbreaking to see Wooyoung’s confidence drop throughout the performance. The long runway-like stage, slippery floors, randomly placed models, and the lack of audience participation added to the awkwardness of the performance. Wooyoung’s solo album is scheduled to be released on July 8. [News] Jang Keun Suk Picks up a New Hobby. Jang Keun Suk is showing off his good looks along with a new hobby. On the June 26, the actor posted on his Twitter (@AsiaPrince_JKS), “Eventually, successfully tried tennis!” The post was accompanied by a photo of him carrying a tennis bag and posing beside a shrub of purple flowers. Meanwhile, Jang Keun Suk was most recently seen on the small screen with the romantic drama “Love Rain,” co-starring Girls’ Generation YoonA. 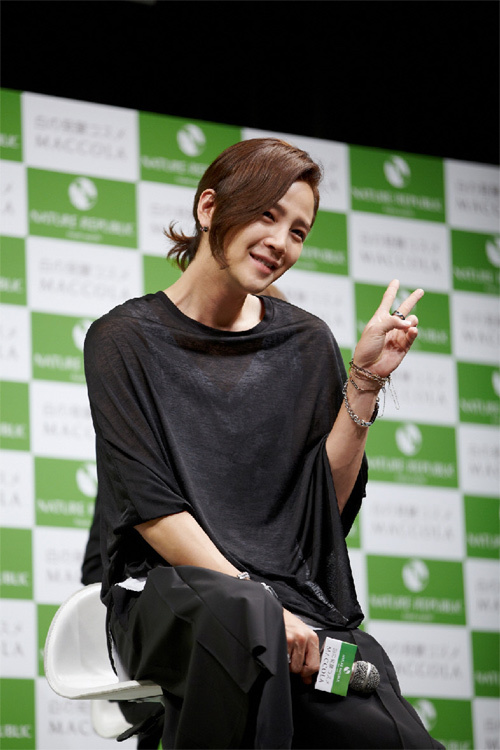 He is scheduled to go on his “2012 Jang Keun Suk Asia Tour CRI Show” in July. The tour kicks off in Seoul, will go on to four cities in Japan and on to Shanghai, Shenzhen, Taiwan and Thailand. 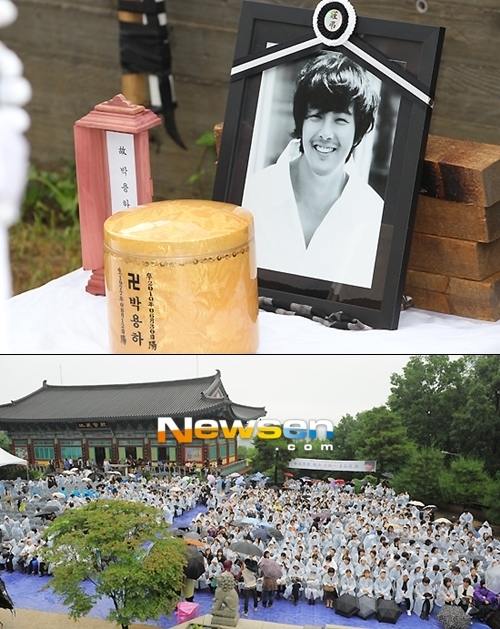 [News] Japanese Fans Remember Park Yong-ha. Some 1,200 Japanese fans plan to come to Korea to mark the second anniversary on Saturday of the death of pop star Park Yong-ha, who committed suicide in 2010. They will visit his grave in southern Seoul in the morning and attend a screening of concert footage in the afternoon. In Japan, various events are taking place to mark the anniversary. Over the past week, around 7,000 fans have gathered in Tokyo's Shibuya district for events showing previously unreleased footage and photographs of Park. 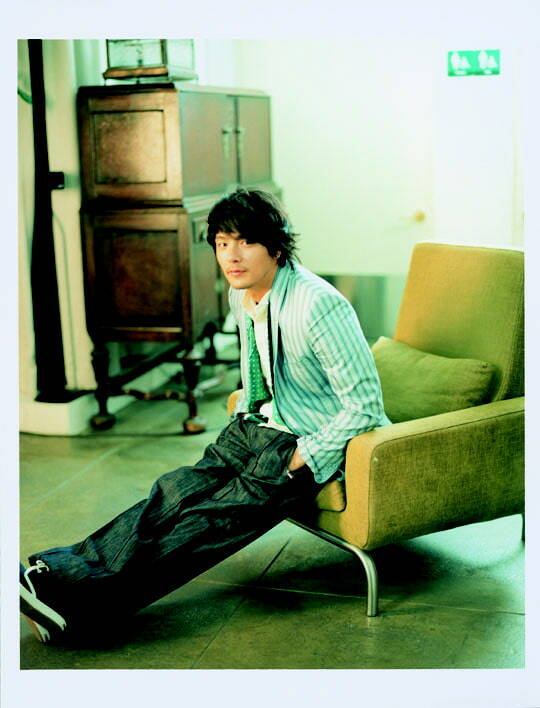 A theater in Tokyo's trendy Roppongi district is also holding a three-week memorial event in honor of Park, showing a collection of footage from his concert tours in Japan since his debut there in 2004. The footage was shown in nine Japanese cities last year and drew many of his fans. 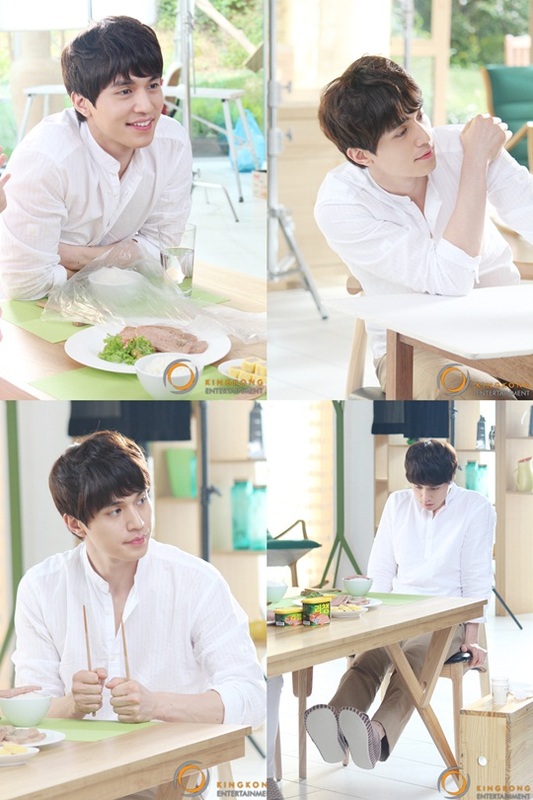 [News] Lee Dong-wook looks good in white shirt. Actor Lee Dong-wook looks attractive once again. While he is the rising entertainment star for his performance in the SBS TV program "Kang Heart", he's done an ad for Richam and revealed 4 different pictures of himself never seen before. In the picture, Lee is smiling brightly with faint eyes. He is banging the table with his chopsticks like a little would, asking his mommy for dinner. In another picture where he has his legs up supported by his hands, he looks cute all the way down to his feet. Netizen's say, "A man who looks good in a white shirt is good for any girl", "We can see his tummy even if the shirt is loose", "I want to cook for him" and more. Meanwhile, Lee Dong-wook is hosting the TV program "Kang Heart" so fluently he has good potentials to be a good entertainment MC. [News] Choi Daniel says that university isn't for everyone. 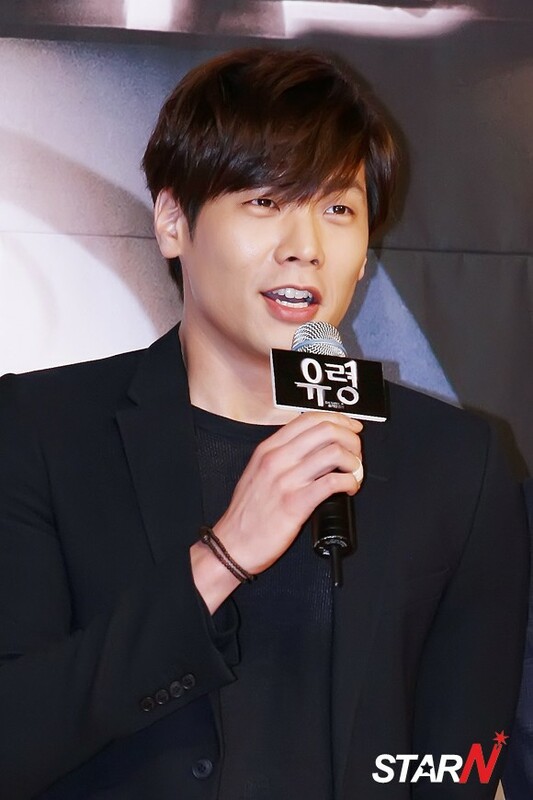 Actor Choi Daniel appeared on an episode of tvN's "Baek Ji-yeon's People Inside" and vented his feelings on the significance of tertiary education. Choi, who deferred his studies after a semester of attending Chungwoon University in Chungnam, South Chungcheong, said that he only enrolled in the institution "for experience". "When I was seriously contemplating a future in acting in my final year of high school, someone said that I should to go university so that I can get a feel for the place and experience living and being part of an organization", Choi said. The actor followed suit and when asked about his time there he said, "It's a place where you should be there on your free will", before adding that a lot of people attend in order to meet the invisible requirements that society puts on young people to attain higher education. "If you are dead sure about what you want out of life, I don't think going to university is the best idea. It's one option, but not the only option in life", said the 26-year-old actor. He also expressed his regret at staying at the institution longer than necessary "because I felt pressured to, and you do become complacent with the life on campus". [News] Kim Hyun Joong Finds His Partner for Upcoming Drama “City Conquest”. Actress Jung Yumi from SBS “A Thousand Days’ Promise” and “Rooftop Prince” has been casted to play the heroine in upcoming drama “City Conquest.” Jung Yumi will be playing the role of jewelry designer Lee Dan Bi, who is honest, earnest, and dreams of humble and yet truthful happiness. Previously, Jung Yumi garnered much attention with her role in “Rooftop Prince.” She is busy with photo shoots and interviews nowadays. She will be playing the partner role of Kim Hyun Joong in “City Conquest.” So far, Kim Hyun Joong, Kim Seung Woo, and Nam Goong Min has been casted in “City Conquest.” The network which “City Conquest” is to be aired on is not yet determined. 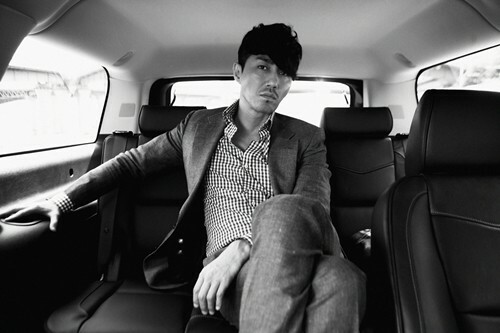 [News] Cha Seung Won Features in Park Jung Hyun’s New MV. A “top star” graces the soon-to-be-released music video of singer Park Jung Hyun. According to reports from local news agencies, actor Cha Seung Won, known for playing A-list celebrity Dokko Jin in 2011’s “The Greatest Love” is confirmed to appear in the MV. Cha Seung Won is said to have moved to Park Jung Hyun’s company, and thus will give his support to his colleague through his surprise appearance in her music video for “Sorry,” the title track of her eighth album. Reports say the actor will assume the role of a mysterious party host and will play an important part in the storyline. He is not the hero of the MV but the fact has generated even more interest and viewers are more curious about his participation. It is not the first time for Cha Seung Won to appear in music videos. K-Pop fans will remember him starring alongside T-ara in the girl group’s “Cry Cry” and “Lovey Dovey” videos. Park Jung Hyun’s “Sorry” MV with Cha Seung Won is scheduled to release in early July. [News] Kim Soo Hyun Declines Drama 'Love Calls' for the Rest of the Year. 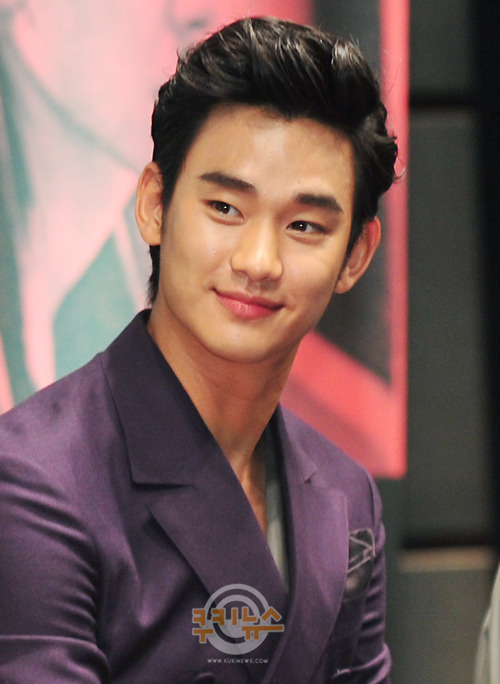 Kim Soo Hyun has been receiving a lot of love calls for TV dramas, a sure sign that his career is on the rise. The young star, however, is forced to turn down many of them, simply because he has no room for them in his schedule. 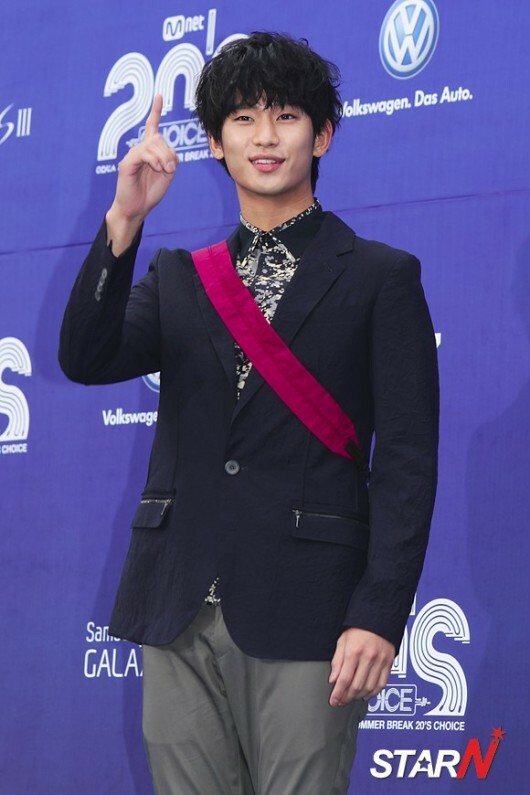 Industry watchers observe that the hot demand for Kim Soo Hyun and younger actors of his calibre is because of the impending military service enlistment of actors in their mid-20s. Kim Soo Hyun’s fans who miss him on their home screens, though, will be able to catch him on a forthcoming episode of SBS’ “Running Man.” On June 25, he was spotted on the Nanji campsite of Mapo-gu, which led “Running Man” producers to confirm his guest appearance. Kim Soo Hyun’s stint on “Running Man,” made to promote his film “Thieves” is his first variety show appearance in four years. “Thieves,” co-starring Jeon Ji Hyun and Lee Jung Jae, opens in theaters on July 25. [News] T-ara’s Eunjung in discussion for new SBS drama ‘Five Fingers’. T-ara‘s Eunjung has been revealed to be in discussion for a role in an upcoming SBS drama! On June 27th, a broadcast official revealed, “T-ara’s Eunjung is planning to join the cast of ‘Five Fingers‘.” The weekend drama will be centered around a woman who has dreams of becoming a pianist but was unfortunately unable to pursue that dream because of her family circumstances. Instead, she becomes a hair stylist. Core Contents Media revealed that the discussions were positive, but that they were still in discussion without a final decision quite yet. Having had her acting talents already recognized through dramas like ‘Dream High‘ and ‘Queen Insoo‘, many are looking forward to seeing her back to the small screen again. Others currently confirmed for the drama include Joo Ji Hoon, Chae Shi Ra, and Ji Chang Wook. [News] Song Chang Ui rejoins former agency. Song Chang Ui has re-signed an exclusive contract with WS Entertainment, which manages the careers of songstress Baek Ji-young and trio Wanted. WS announced in a press release that Song, who was under the company's management bewteen 2006 and 2009, recently rejoined the firm based on his trust with the company and its C.E.O. "We wanted to maintain our relationship with Song and it feels great to him back at WS. We'll support him in all aspects-- in acting, singing and musicals--and look forward to his upcoming activities in Japan and China," a rep from WS said in the statement. Song started out in the entertainment business in 2002 through the Korean musical "Blue Saigon." Holding many popular TV series and movies under his belt, he shot to stardom by appearing in SBS' TV series "Golden Bride" in 2007. The actor's recent works include JTBC's medical series "Syndrome," musical "ELISABETH" and he will reprise his role in musical "Gwanghwamun Love Song" from July 20 to August 5. [News] MBC's historical saga "Moosin" sees 6 episode extension. Korea's broadcasting company MBC has granted a six-episode extension to its ongoing historical saga "Moosin." A PR rep from MBC told 10Asia over the phone on Wednesday that "Moosin," which was originally set for 50 episodes, has been rescheduled to air a total of 56 episodes. "We've decided that the show should be extended since we needed more time to draw out the storyline of Kim Joon (played by Kim Ju-hyeok) gaining the authority. We didn't want to rush the story and feel this is the right decision." The official added that they hope to further develop Kim Joon's relationship with Song-yi (played by actress Kim Gyu-ri) and feature more action sequences. "Moosin," which tells the story of a slave (Kim Joon) who later becomes a ruler of an entire country during the Goryeo Dynasty (918-1392), is a weekend series that began its run on February 11 and aired its 38th episode on June 24. [News] Wooyoung to release solo album. After revealing a slimmer and more muscular physique just a week ago, 2PM member Wooyoung has announced his ambitions as a solo artist. According to JYP Entertainment yesterday, the 23-year-old singer is set to release an EP on July 8, setting a new precedent as a solo act among his group members. “It’s true that Junsu has released up to four singles on his own, but he never promoted himself as a solo artist, meaning Wooyoung will become the first solo artist from the group to take to performing and promoting himself,” said a spokesperson from the band’s agency. Ahead of the album’s release, a teaser video for the EP was uploaded online. In the clip, six boys can be seen walking onto the stage with Wooyoung who is sporting a platinum blonde ’do in the center, while the others fade away. “The symbolism behind the other members fading is to convey the message that they are supporting Wooyoung’s solo career,” said a representative from the agency. JYP Entertainment said that the band is as excited as Wooyoung about his solo career and asked fans for their support. [News] Choi Ji Woo to Appear in Chinese Drama “City’s Lovers” 9 Years Since Last Drama Appearance in China. “City’s Lovers” is the story about the love story between a female CEO and a new male employee. Choi Ji Woo will play the role of the female CEO while the actor Qin Hao will play the new employee. [News] MBC's new TV series "May Queen" reveals snippet of Han Ji-hye, Jae-hee. MBC'S new TV series starring actress Han Ji-hye and actor Jae-hee has unveiled the finalized title and its air date. Han and Jae-hee's "May Queen" has been set to air every weekend on MBC starting August, the show's promoter, Red Medicine, announced through a press release today. The show was originally ready to go on air after "Supper of the Gods," which wrapped up its run in late May. However, due to the broadcaster's labor union going on strike, the series has been postponed to air as the follow-up show to "Dr. Jin," which hit the airwaves on May 26. The 32-part series will feature child actors Kim You-jung, Park Ji-bin and Park Kun-tae and co-star veterans Lee Deok-hwa, Yang Mi-kyung and Ahn Nae-sang. With director Baek Ho-min and scriptwriter Son Young-mok behind the screen, "May Queen" will focus on the success stories of people working in the shipbuilding industry. Her last small screen role was in MBC's historical series "The Duo" opposite actors Chun Jung-myung and Lee Sang-yoon. She also has also appeared in SBS' two-part special drama "Dangerous Gift" (translated title). Jae-hee, whose real name is Lee Hyun-kyun, gained fame after starring in the campus drama "School" (KBS2, 2000) but is best known for his role as Lee Mong-ryong in the hit TV series "Delightful Girl Choon-hyang" (KBS2, 2005). [News] Jang Keun Suk gets friendly with Kuroyanagi Tetsuko. Jang Keun Suk shared photos of himself with famous Japanese entertainer Kuroyanagi Tetsuko. On June 25th, Jang Keun Suk tweeted, “I’ve gotten closer to nuna! Please do! Come to Korea!“ He then added, “I also got some candy!” along with the two pictures above. Kuroyanagi Tetsuko is an author as well as the host of the popular Japanese talk show, ‘Tetsuko’s Room’. [News] Jang Dong Gun’s neat penmanship gets noticed on ‘Gentlemen’s Class’. Jang Dong Gun has been getting noticed lately for his penmanship. His writing was revealed on June 24th’s airing of SBS drama ’Gentlemen’s Class‘. Jang Dong Gun’s character Kim Do Jin showed a message to Seo Yi Soo (played by Kim Haneul) through a cafe window that read, “The person I had a previous appointment with today is Seo Yi Soo.” Yi Soo responded to his note by kissing the window. Besides the “window kiss”, what caught the eyes of viewers was Jang Dong Gun’s neat penmanship. His handwriting was noticed before this drama in messages he wrote alongside autographs for his fans as well. On another note, the tenth episode of ‘Gentlemen’s Class’ obtained a high viewership rating of 20.3% and is continuing to show success. [News] “Heartstrings’” Park Shin Hye to Make Small Screen Comeback with “Don’t Worry, I’m a Ghost”. Park Shin Hye will be making her small screen comeback as a ghost. It’s been announced and confirmed that Park Shin Hye will be joining the cast of KBS drama special season 3, “Don’t Worry, I’m a Ghost,” which is scheduled to premiere July 15. The upcoming drama marks Park Shin Hye’s return to the small screen in a year after having starred in last year’s “Heartstrings” with CNBlue’s Jung Yong Hwa. In related news, Park Shin Hye will join her former co-star Jung Yong Hwa in Japan for a “Heartstrings” fan meeting this July.